When it comes to a company’s social media strategy, it’s easy to get wrapped up in Facebook and Twitter. That’s where most of the people are, after all. But for a more professional edge, LinkedIn is another excellent tool you and your company can use to reach out to current and potential customers. Here are some tips from a LinkedIn insider on how to turn the social network into a handy CRM tool. Comment on status updates. This is a good way to stay in touch with current and past clients. Just don’t be too pushy by promoting your services. It’s more important to let your contacts know you’re around and active. Ask for recommendations from clients. If you receive a complimentary note from a client, it never hurts to ask them if they would add that under your LinkedIn profile’s recommendations. This will give prospective clients a good idea what it’s like to work with you. Make sure your profile is complete. You never know if someone is searching for you. If your LinkedIn profile doesn’t give visitors a full picture of your professional history, you could end up losing a new contact without even knowing it. Make a company page. 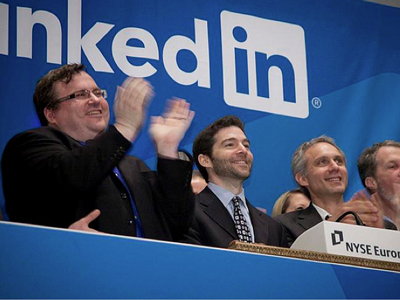 If you haven’t done so already, you can make a free company page on LinkedIn. Those pages can be used to share more about your company’s products and services to potential customers. Post updates to your company page. Similar to the way brand pages work on Facebook, you can use a company page on LinkedIn to post updates and share links to those who follow. Research other company pages. Take a look at other company pages related to your business. It will give you an idea what prospective B2B partners are talking about. You can also get a peek at what the competition is up to. Advertise on your company page. Your company can work directly with LinkedIn to set up custom advertising and marketing campaigns on its page.